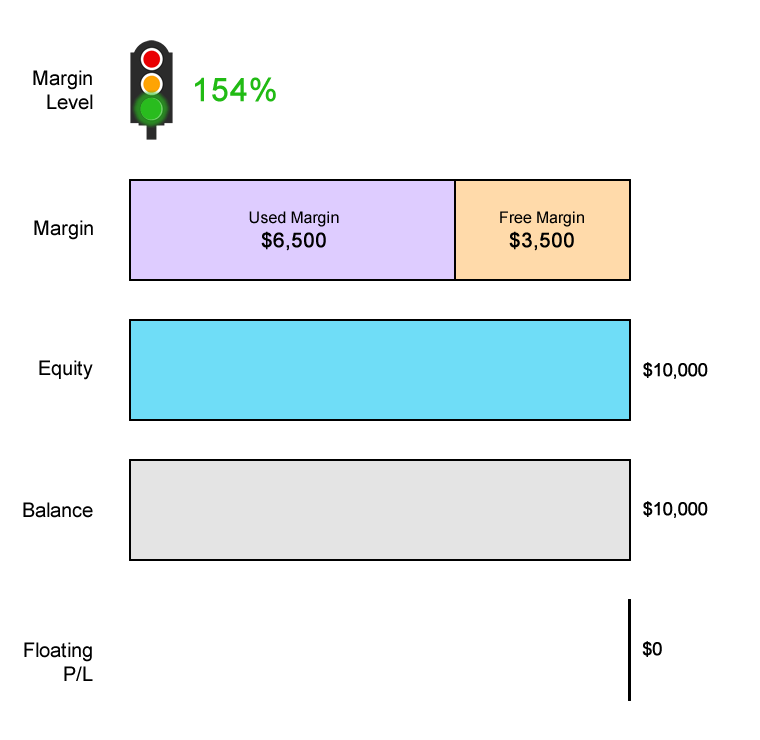 In the previous lesson, we went through a trading scenario where you were using a broker that operated with a Margin Call only. In this lesson, we will go through a real-life trading scenario where the broker operates with a separate Margin Call Level and Stop Out Level. 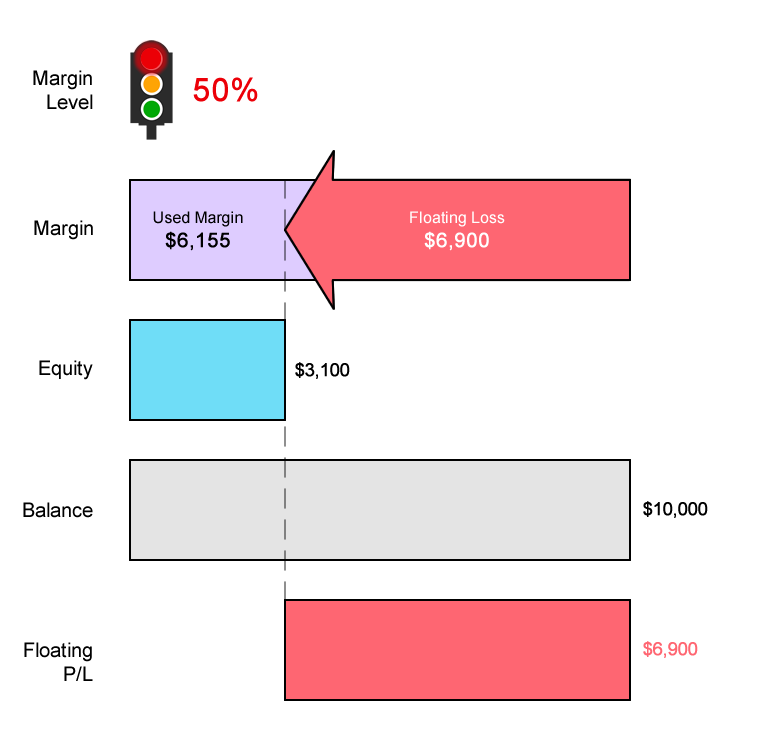 The broker defines the Margin Call Level at 100% and the Stop Out Level at 50%. Let’s say you deposit $10,000 into your trading account. You now have an account balance of $10,000. You want to go long GBP/USD at 1.30000 and want to open 1 standard lot (100,000 units) position. The Margin Requirement is 5%. 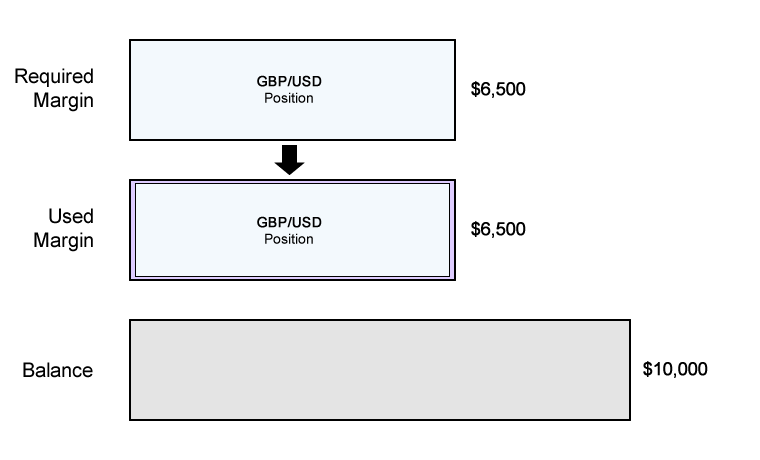 Since our trading account is denominated in USD, we need to convert the value of the GBP to USD to determine the Notional Value of the trade. The Notional Value is $130,000. 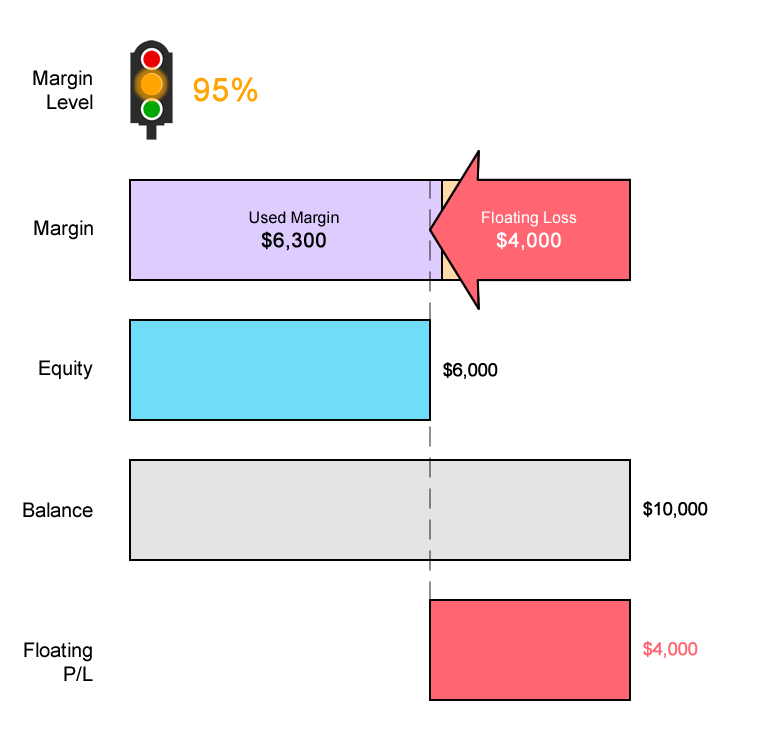 Assuming your trading account is denominated in USD, since the Margin Requirement is 5%, the Required Margin will be $6,500. The Equity in your account is now $10,000. The Free Margin is $3,500. GBP/USD falls 400 pips and is now trading at 1.26000. Whenever there’s a change in the price for GBP/USD, the Required Margin changes. With GBP/USD now trading at 1.26000 (instead of 1.30000), let’s see how much Required Margin is needed to keep the position open. The Notional Value is $126,000. Previously, the Notional Value was $130,000. Since GBP/USD has fallen, this means that GBP has weakened. And since your account is denominated in USD, this causes the position’s Notional Value to decrease. 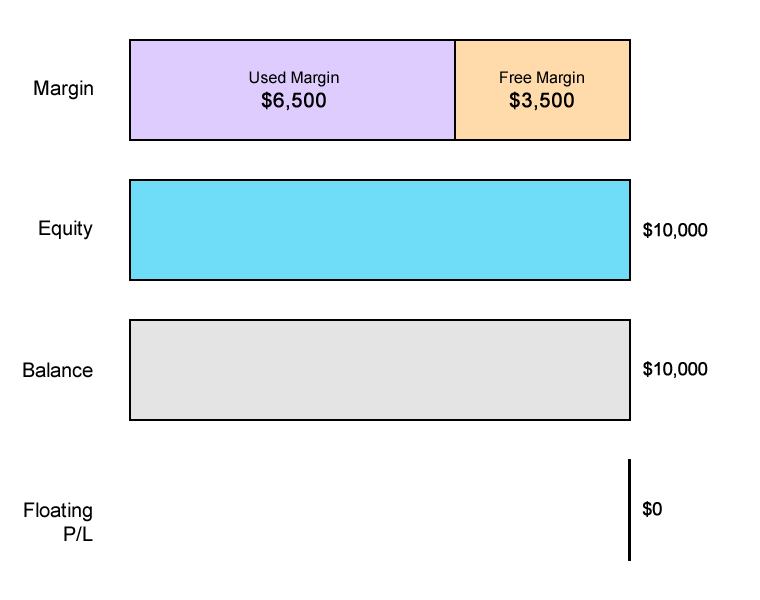 Since the Margin Requirement is 5%, the Required Margin will be $6,300. Previously, the Required Margin was $6,500 (when EUR/USD was trading at 1.30000). GBP/USD has fallen from 1.30000 to 1.26000, a difference of 400 pips. Since you’re trading 1 standard lot, a 1 pip move equals $10. This means that you have a Floating Loss of $4,000. Your Equity is now $6,000. 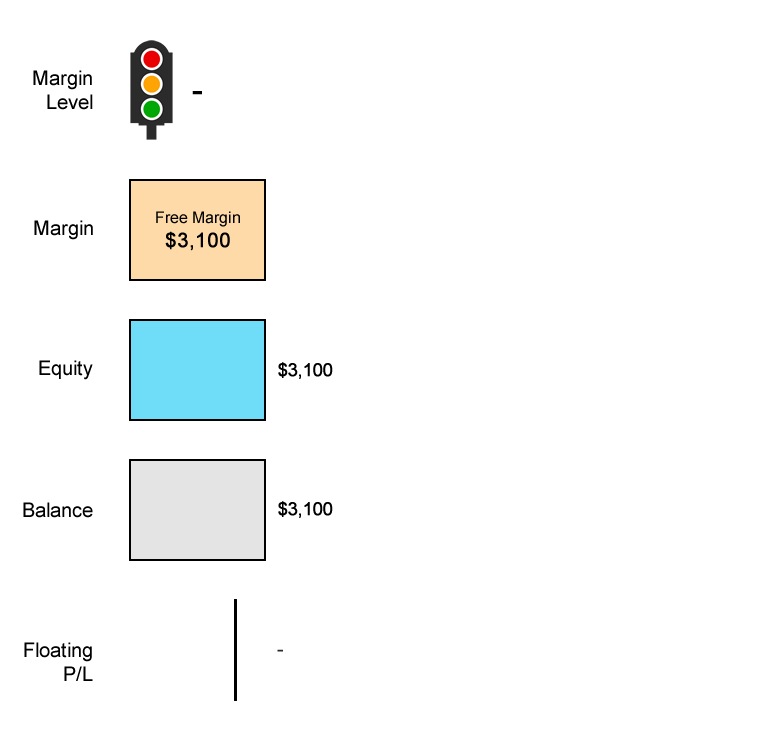 Your Free Margin is now –$300. Your Margin Level has decreased to 95%. 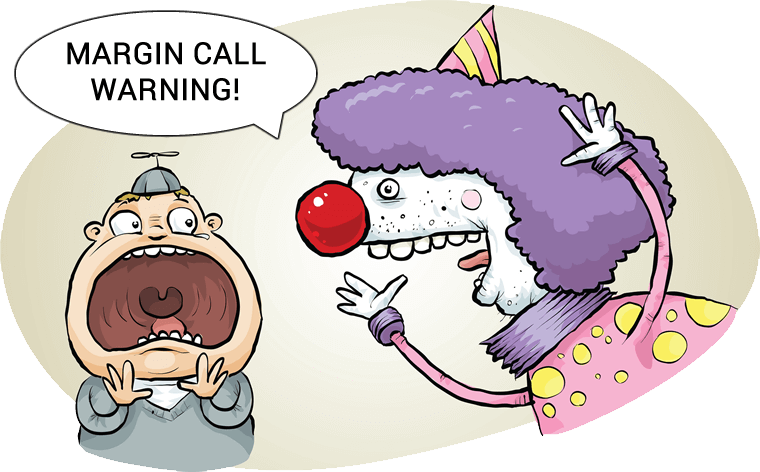 At this point, you will receive a Margin Call! This is a WARNING that your trade is at risk of being automatically closed. Your trade will still remain open but you will NOT be able to open new positions as long unless the Margin Level rises above 100%. GBP/USD drops another 290 pips! GBP/USD falls another 290 pips and is now trading at 1.23100. With GBP/USD now trading at 1.23100 (instead of 1.26000), let’s see how much Required Margin is needed to keep the position open. The Notional Value is $123,100. 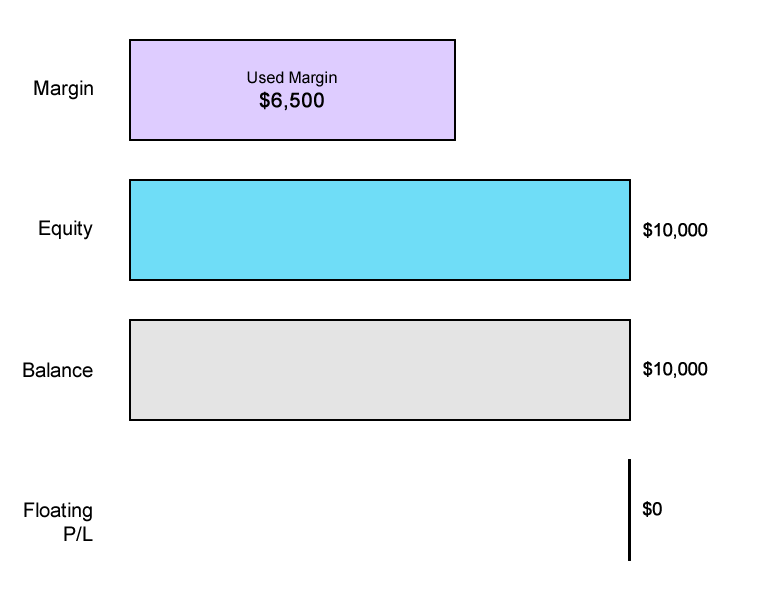 Since the Margin Requirement is 5%, the Required Margin will be $6,155. Previously, the Required Margin was $6,300 (when GBP/USD was trading at 1.26000). EUR/USD has now fallen from 1.30000 to 1.23100, a difference of 690 pips. This means that you have a Floating Loss of $6,900. Your Equity is now $3,100. Your Free Margin is now –$3,055. Your Margin Level has decreased to 50%. This means that your trade will be automatically closed at market price. Before the trade, you had $10,000 in cash. Now you’re left with $3,100! You’ve lost 69% of your capital. In the next lesson, we provide a different trading scenario where you try to trade forex with just $100. It’s possible to trade with such an amount, but is it advisable? Find out what happened to the trader who tried. Next Lesson Trading Scenario: What Happens If You Trade With Just $100?